The range of auto care products offered by us include paint body soap and car washing soap that find application areas in various industries. 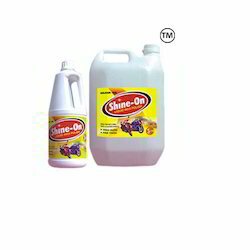 Our product range inclluding carnauba wax polish, engine lacquer, multiaction spray, release spray, automotive rubbing compound, engine oil additive for two wheelers, upholstery cleaner and AC foam cleaners are offered at cost effective and can be customized as per the specification of our clients. 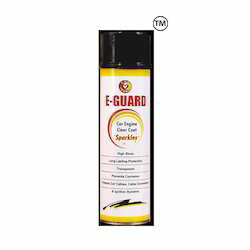 E Guard Engine Clear Coat is a unique formulation developed to give your car engine cables, cable connectors and ignition systems a high glossy finish protection from moisture and prevents corrosion in the engine compartment. It is suitable for rubber fiber polymer and on all metal surfaces. The protection and gloss remain effective for about 6 months under normal conditions. Shake well before use. Ensure surface is free form oil grease dirt and other contaminants. Spray E Guard uniformly on the dry and clean surface to form a thin coating. Strictly maintain 15 - 20 cms distance for uniform coating. Allow it to dry for 10 - 15 minutes to observe high gloss protective engine/fiber coat. Utility: 1 can of 550 ml is sufficient for lacquering of 2 Medium cars. In case of Big cars, 1 can is required. 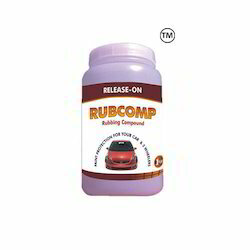 Rubcomp automotive rubbing compound is a synthetic cutting compound that safely brightens and clean paint without the abrasives that could damage your clear coat layer. Rubcomp removes minor surface paint scratches, swirl marks, water spots and heavily oxidized car paints and finishes. Rubcomp will refresh and brighten the car paint surface that has been faded to sunlight and pollution. Wash your car using water to remove surface dirt and grime before using Rubcomp on your vehicle. Use only in well-ventilated area. Do not apply rubcomp under direct sunlight or on a hot surface. Apply Rubcomp compound by hand/pad on the dried paint surface. use buffing pads to remove the contaminated paint surface and observe uniform surface gloss. It is suggested that you protect by waxing it using paste wax, brightening it with Rubcomp. Shine - On Liquid Wax Polish is a Unique formulation with cutting and polishing properties designed to give your vehicle a glossy look. It is user-friendly and removes the polluted layer of the paint surface. We also offer carnauba wax polish and carnauba wax paste. 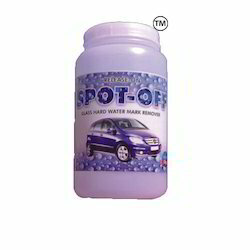 Spot - Off is a unique soft homogeneous paste free from acid and alkaline chemicals to remove mineral and acid deposits from the glass surface. Gently apply the product uniformly by a hand of a pad on the affected area. Use an orbitary buffing machine for quick and effective / clarity output. Observe a high gloss free from all deposits. Do not apply Spot - Off under direct sunlight or on a hot surface. Avoid eye contact and prolonged skin contact. 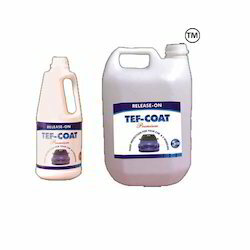 If TEF - Coat Premium accidentally falls on other panels remove using a soft wet cloth.